INDUSTRY.co.id - Jakarta - As a national telecommunication company that continues to transform itself and excel in competition in the era of digital telecommunication and in accordance with the spirit to always provide the best service that can bring the customer experience to the dimension of Live Like Never Before, PT Telkom Indonesia (Persero) Tbk (Telkom) held again Digi Summit TelkomGroup 2017 on 22 - 23 November in Jakarta. Digi Summit is an annual event to introduce the latest digital technology products from TelkomGroup as a manifestation of the company's commitment to continuously advance the national digital telecommunication industry. In addition, at this event is also carried out knowledge sharing by partners and the best consulting company in collaboration with TelkomGroup. With the theme of "Engage Today to Shape Tomorrow", TelkomGroup invites summit participants to build future business potential by engaging customers through the latest use of TelkomGroup digital products. Through the implementation of the concept of "engage partner" in the form of joint investment and "engage client", it is expected that industry players can develop Business to Business (B2B) implementation and build the future of digital technology industry better. "Digi Summit TelkomGroup 2017 is a good opportunity for partnership development as well as networking. This event is also an event to increase the insight from the speakers who are industry practitioners who have a very interesting case study in Indonesia. For example about "BigData ", a term that is often heard a day, and how to use it to be useful for the sustainability of your business," said David Bangun, Director of Digital and Strategic Portfolio. 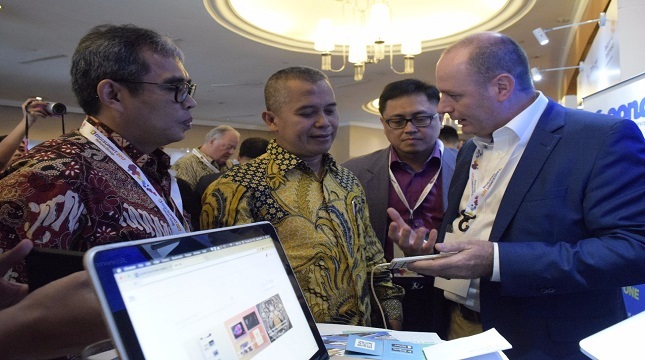 At this year's Digi Summit, TelkomGroup is partnering with a number of global and local partners who are qualified in digital technology with specific expertise to support the development of digital business services for both B2C, B2B and Mediation Portal segments. This collaboration or partnership is a strategic step of TelkomGroup to accelerate the transformation of the company into a digital telecommunication company. On this occasion, TelkomGroup has signed a partnership agreement with selected partners as a form of long-term cooperation for the development of digital business in Indonesia. Metranet, a subsidiary of Telkom engaged in mobile content, commerce, online ticketing, and social network game publishers, signed a partnership with several partners including Cellum International for Fintech services, ADW for B2B Commerce (Xooply) and Gameloft, Garena, Blackstrom for UPoint Gaming service. 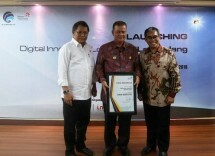 Meanwhile, Telkom also signed a cooperation agreement with Agate for the development of Gaming Ecosystem.